Now that the brisk temperatures of January are setting in, I have noticed trees and shrubs showing off their winter interest. One tree that grabs my attention every time I walk by is Sorbus alnifolia. This tree has show-stopping qualities not only in winter, but throughout the year. 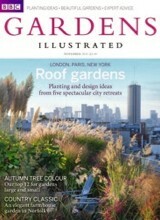 The November issue of Gardens Illustrated featured a plant profile on Sorbus. This genus includes about 100 species of trees and shrubs, which go by a variety of common names such as mountain ash, rowan, and service tree. 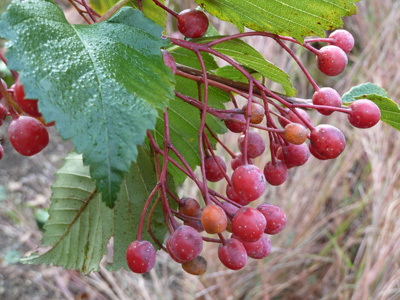 While the magazine highlights the many desirable traits of Sorbus, such as their multi-season appeal, this genus thrives in the United Kingdom but does not do well in Pennsylvania due to the heat and humidity of our summers. 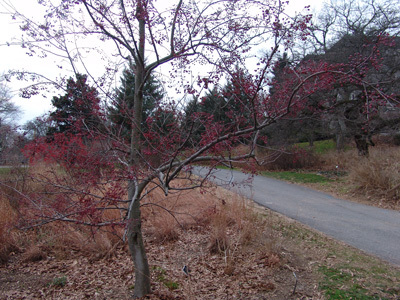 However, there is one species of Sorbus at the Scott Arboretum that does succeed in this climate: Sorbus alnifolia. Commonly known as Korean mountain ash, S. alnifolia shows off gorgeous characteristics year-round. In April and May, it produces beautiful white flowers. From September through November, this tree stands out with stunning fall color of vibrant red, deep orange, and yellow. Clusters of red fruit attached to pedicels persist throughout the winter months, showcasing an impressive bounty of berries. Hardy in Zones 4 through 7, this particular species is more resistant to the diseases that often impact Sorbus such as fire blight and leaf spot. 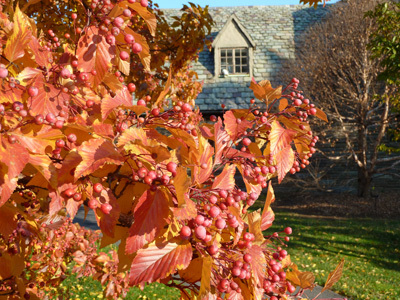 In fact, Sorbus alnifolia has been deemed a Gold Medal plant by the Long Island Gold Medal Plant program. Korean mountain ash is also planted along the streets of Swarthmore. 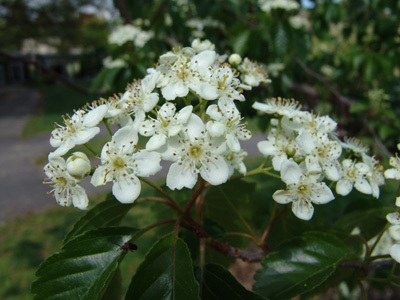 Sorbus alnifolia was previously featured in the Plant of the Week posts by Josh Coceano. Here you can see its showy fall color and attractive fruit. Korean mountain ash does best in well-drained soil and prefers full sun. With a moderate growth rate, it can reach a height of 40 to 50 feet. At the Scott Arboretum, you can see this gorgeous gem of a tree situated between the Biostream and Willets Residence Hall. Sandra, Thank you. We are also smitten with this tree and its multi-season interest. Thanks Laura for sharing for sharing this beauty. Enter your email to get the latest Garden Seeds post to your inbox.